Cool sculpting, also known as “cryolipolysis”, “cryo lipo,”, and “fat freezing,” is a nonsurgical, non-invasive procedure that’s intended to remove small amounts of fat from the body that are proving difficult to lose with diet and exercise. Cool sculpting is not a treatment for obesity. Instead, the procedure is merely a body contouring procedure that’s considered a safe, effective alternative to more conventional options such as liposuction. Continue reading to learn about cool sculpting results as well as cool sculpting side effects. Cool sculpting is a relatively new procedure which was approved by the U.S. Food and Drug Administration in 2012. Zeltiq is the owner of the trademarks for both “cool sculpting” and “cryolipolysis.” In general, a cool sculpting treatment takes about an hour to complete. While some people witness cool sculpting results immediately, some patients see results over a longer period of time. Results often become visible anywhere from a few days up to one to four months after the procedure. 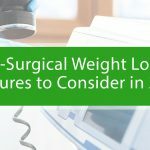 Patients can typically expect the volume of fat cells in a treated area to shrink by20 – 25 percentfollowing their procedure. Although cool sculpting is widely viewed as a safe procedure, it does have some common side effects. During the treatment, many people feel tugging when their skin is between the cooling panels of the instrument used to execute the procedure. Most people are able to resume their normal daily activities immediately after a cool sculpting treatment. That’s because the procedure doesn’t involve any cutting or anesthesia, unlike some alternative treatments. What Parts of the Body Can Cool Sculpting Be Performed On? As we stated earlier, cool sculpting is a fairly new procedure that was approved by the FDA less than a decade ago. Because the long-term effects of the treatment aren’t fully known as of now, the procedure can only be used on certain parts of the human body. If you’re interested incool sculptingor fat freezing, you’re in luck because Dr. 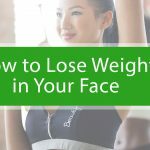 Weight Loss of Atlanta performs the procedure on a regular basis. To see if you’re a candidate for this procedure, schedule a free consultation at one of our four Atlanta-area locations now.